Now ladies, I’m not normally one to talk about our, *cough* lady parts on this blog (any male readers, this might not be a post for you, or it might be .. ) Anyway, I used to run screaming from any kind of ‘hoo-ha’ talk, as the mere mention of such words used to make me blush profusely, but now that a baby has exited from down there, well quite frankly I’m a bit less embarrassed about such things (although the word ‘s-e-x’ still makes me blush) The pelvic floor is something I’ve wanted to talk about on here for a while, and now a perfect opportunity has come up. If you are a pregnant lady or if you have ever had a baby, this is a post for you. Remembering to do your pelvic floor exercises is something that is drummed into you if you are pregnant nowadays. It was mentioned in all of my NCT classes, the NHS classes I attended and any midwife appointment that I had. I had to remember to ‘clench’ and try not to pull ‘I am clenching’ face at traffic lights, bus stops, during TV ad breaks, whilst reaching into a cupboard etc, the list goes on, you get the idea. When I started doing Buggy Fit classes, at every class my awesome instructor Anna Coe would talk to us about our pelvic floor muscles. We’d stop the buggies and do some exercises based around that area and she’d always ask if anyone needed to talk to her about any issues or was experiencing problems. 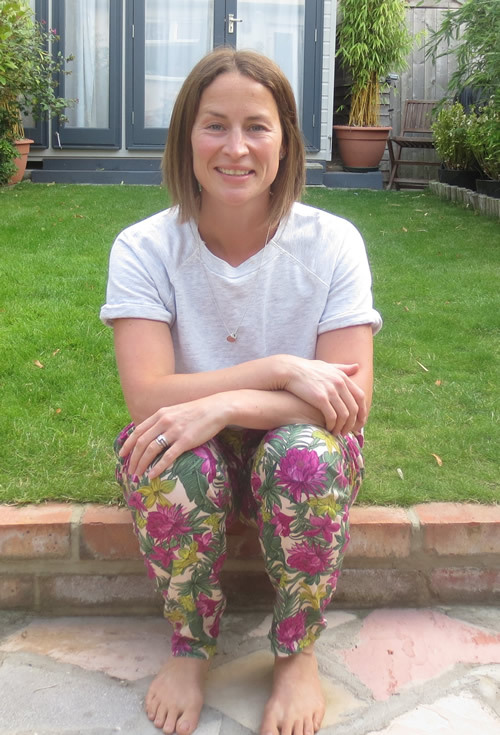 It’s something Anna is passionate about, ensuring that women understand the importance of strong pelvic floor muscles and making sure that we know what is normal and what is not. Whilst Anna is an amazing Buggy Fit instructor, I saw recently that she has become involved in something called Holistic Core Restore, and seeing that this was to do with the pelvic floor, this caught my interest. Since having my baby to date I haven’t experienced any post baby issues ‘down there’, however as time has gone by I’ve found that things feel a lot less, erm, strong, so it’s still something I am very aware of. I got in touch with Anna to find out more about Holistic Core Restore.